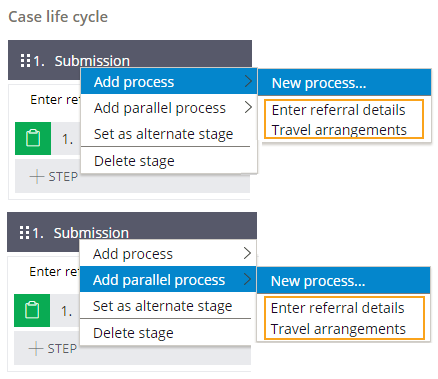 You can reuse processes from the system in a stage in the life cycle of a case type. By reusing processes, you save time and can define processes faster instead of creating new processes. You can select the processes to reuse when you add processes to a stage. For more information, see Adding a process to a stage.